The Xiaomi Mi Note Pro and its lesser counterpart that lacks the “pro” derivative in its name was just launched yesterday and people were quite impressed with the Chinese phablet. Xiaomi promised that it would blow our minds on January 15th and while we weren’t completely taken by surprise, we sure enjoyed the show. 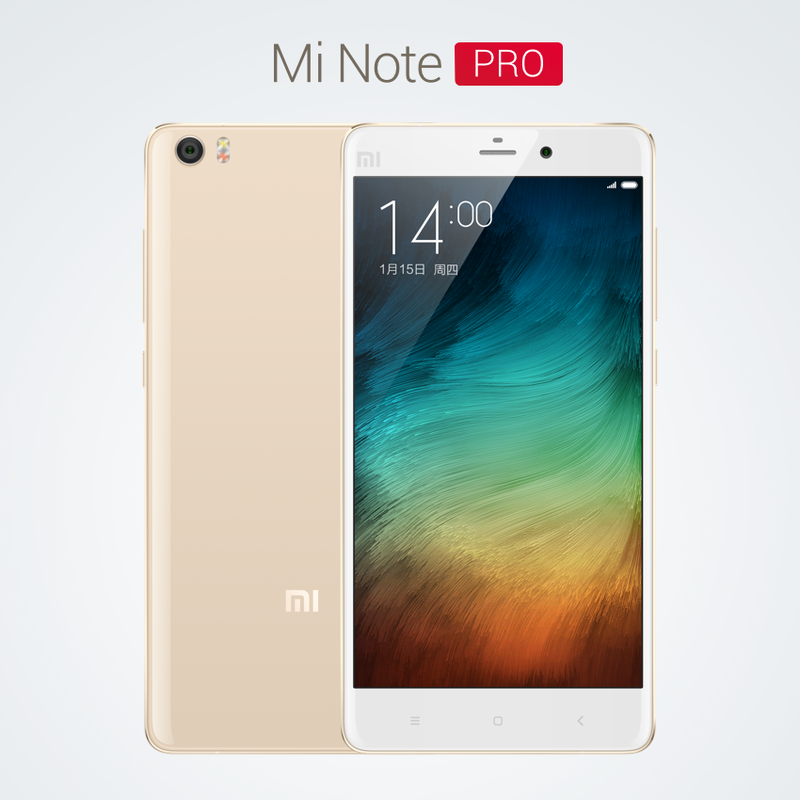 The Xiaomi Mi Note Pro and the Mi Note are the latest releases from the company and an attempt to rival current flagships like the Galaxy Note 4 and iPhone 6 Plus. At the same time, the flagships are anticipated rivals of upcoming competitors like the Galaxy S6, LG G4 and HTC One M9 Hima. Even though previous Xiaomi flagships were not fit for worldwide release, the Xiaomi Mi Note Pro does support US and European LTE bands, which means that the Chinese company is probably planning an international release of the phablet. 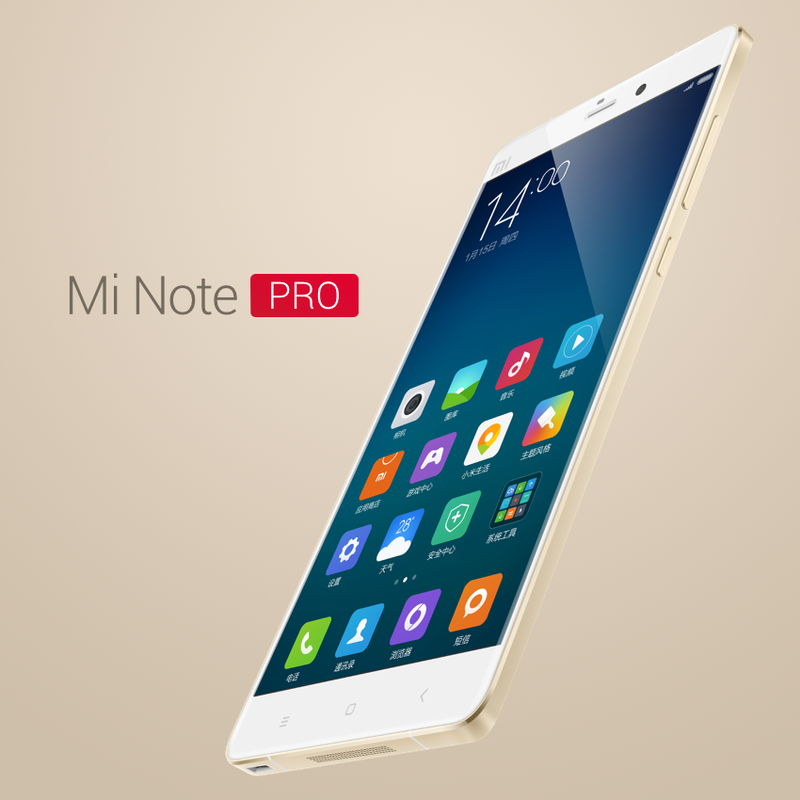 Since we always try to stay positive, we will assume the Xiaomi Mi Note Pro will hit US shores sometime this year. Until that happens, let’s see how the Chinese smartphone compared to one of our favorite devices of 2014, the Samsung Galaxy Note 4. The Xiaomi Mi Note Pro features bezels that seem just a bit larger than on the Galaxy Note 4, but the difference is negligible. One of the big pluses for the Chinese flagship is the fact that its chassis is made out of metal, which means that it can easily compete against metal-clad devices like the iPhone 6 Plus and newly announced Galaxy A7. The Galaxy Note 4 comes close in this aspect with its metal frame, but the chassis is still made out of plastic, so the Mi Note Pro seems like the better choice if you want an all-over premium feel to your next phone. 155.1 x 77.6 x 7 mm. If you are familiar with current smartphones, that thickness is actually below the average, which means that it is .1 mm thinner than the iPhone 6 Plus and 1.5 mm thinner than the Galaxy Note 4. Since the new thin-phone trend is full-blown nowadays, the Xiaomi Mi Note fits in better with user desires and preferences. Nonetheless, design is not all there is to a phone. The display on the Xiaomi Mi Note Pro is a 5.7 inch IPS LCD panel with a 1440*2560 resolution, which is almost identical to the one on the Galaxy Note 4. The difference between the two relies in display technology: the Galaxy Note 4 has a Super AMOLED panel, which is a bit better when it comes to color reproduction, viewing angles and outdoor visibility than the IPS LCD panel the Xiaomi Mi Nore Pro has. Regardless, the two phablets size up pretty nicely next to each other, although we have to give it to the Chinese company since they managed to cram the same display size into a thinner body. President of Xiaomi, Lei Jun, did tease the January 15th release as a pretty big event, and even though we were expecting the Xiaomi Mi5 to show up, we were pleasantly surprised by the two new phones from the company. The hardware and specs of the Mi Note are pretty decent, but the Xiaomi Mi Note Pro specs are over the top and designed to rival even the best of smartphones out there. In spite of not seeing the Xiaomi Mi5 at the event, we were quite happy with the powerful behemoths the company offered up instead. 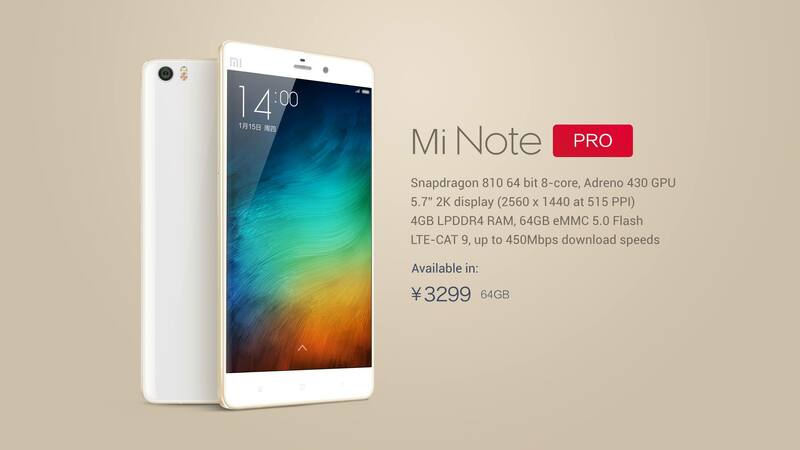 Xiaomi Mi Note Pro specs include a Qualcomm Snapdragon 810 CPU, which we’ve seen on the LG G Flex 2 at CES 2015. That 64 bit processor comes with four cores clocked at 1.5 GHz and another four cores clocked at 2 GHz, which is quite the impressive setup. The CPU is backed up by an Adreno 430 GPU and a whopping 4 GB RAM. You only get 64 GB internal storage on the handset, and you’ve no microSD card slot to make use of in case you run out of storage space, so you might want to read up on cloud storage if you’re thinking of buying the handset. The Galaxy Note 4 isn’t too far behind when it comes to specs, though, and at least the phablet has already demonstrated its worth at IFA Berlin 2014 and in real life use. The Samsung phablet comes with a Snapdragon 805 CPU backed by an Adreno 420 GPU or with an octa core Exynos 4533 CPU backed by a Mali-T760 GPU. You get 3 GB RAM and 32 GB expandable storage on the handset, which is a better offering than on the Chinese contender. Nevertheless, the Snapdragon 810 will most likely overpower the Snapdragon 805 when it comes to performance. 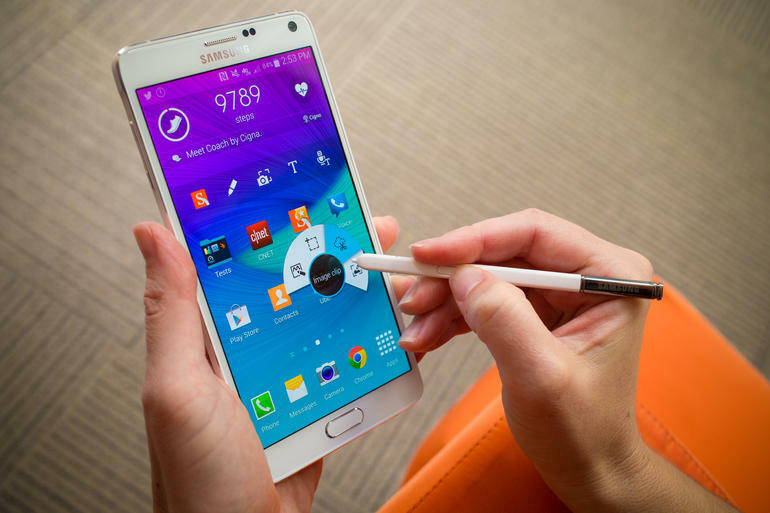 The Galaxy Note 4 hasn’t received Android 5.0 Lollipop all around the world yet, but it should be upgraded soon enough. The Xiaomi Mi Note Pro comes with Android 5.0.1 Lollipop out of the box, which will prove to be a big pull-factor in customers’ minds. After the Galaxy Note 4 was launched, people started talking about how great the camera setup was, and not in vain. The 16 MP shooter on the handset comes with optical image stabilization and an LED flash which perform outstandingly in the face of the competition. You also get a 3.7 MP sensor on the front, which is nice, too, although not as nice as other handset out there. The Xiaomi Mi Note Pro comes in short in this aspect, seeing as it only sports a 13 MP camera on the rear with a dual-LED flash and optical image stabilization, and a 4 MP camera on the front. Since we’ve no sample shots to judge, we will refrain from commenting on camera performance on the Chinese flagship. So far, we were quite impressed by what the Xiaomi Mi Note Pro has to offer, but the battery department isn’t as shiny. The phablet comes with a 3090 mAh battery unit, which doesn’t seem like much for such a large QHD display. The Galaxy Note 4 is the clear winner in this department with its larger 3220 mAh battery and extra battery saving options within TouchWiz. Samsung’s most recent Note edition’s battery life is actually very impressive, hitting the two day mark with no problems when it comes to mixed use. We haven’t had the chance to experiment with the Mi Note Pro’s battery life yet, but seeing as it has a smaller battery unit, but the same type of display, we can assume it won’t be too great. When it comes to features, both handsets come equipped with almost everything you would need of a phone. 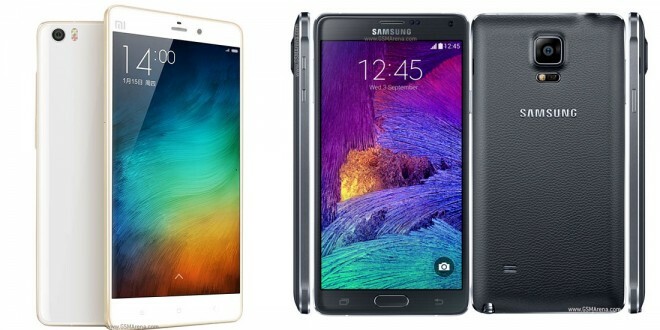 Both have NFC, microUSB v2.0, nine axis sensors, fast battery charging, Wi-Fi 802.11 a/b/g/n/ac and Bluetooth 4.0. 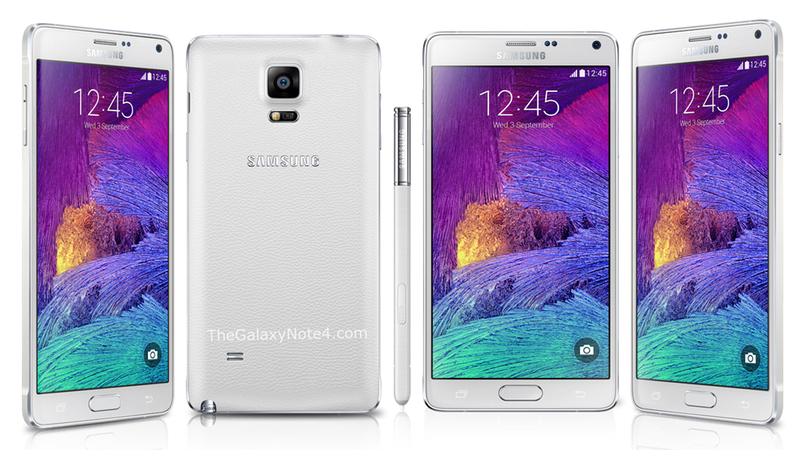 The Galaxy Note 4 still shines in this department, though, because you also get a a heart rate sensor, blood oxygen sensor, UV sensor, fingerprint scanner, S Pen Stylus and an Infrared port alongside the features mentioned above. Clearly, Samsung wanted to pack this device to maximum capacity, and even though most users don’t make actual use of some of the health-related sensors built-in, they do come in handy. The Galaxy Note 4 is quite the expensive beast, as expected, but you do get great bang for buck and value for your money. You can get the handset unlocked for around $700, which seems an appropriate price considering the tons of features the Galaxy Note 4 has. The Xiaomi Mi Note Pro price is set at around $530 and will be launched in China on January 20, when pre-orders will be opened up. The handset should start shipping to customers on January 27. Seeing as the Xiaomi Mi Note Pro price is considerably lower than its competitor’s, we would give the bang for buck award to the Chinese smartphone. For the relatively low price, you get top-notch performance and a great display, but you probably will have to carry your charger around a lot.